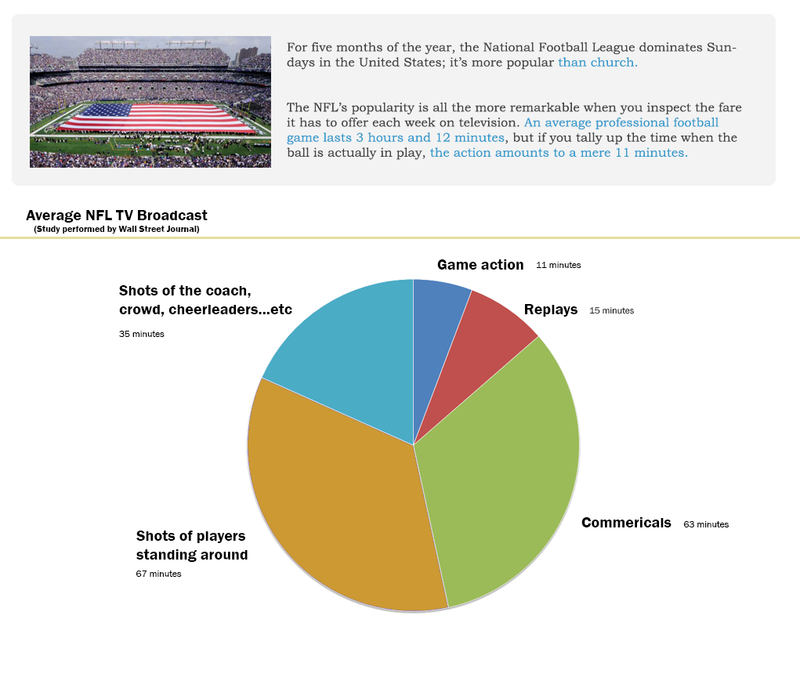 As you might know, the NFL's ratings have been going down lately. STL just stopped watching, LA realized they'd just gotten a terrible team, racists are boycotting as long as the league lets players kneel for the anthem, & other folks are increasingly boycotting the league's blind eye towards other players' crimes. Is this TV ratings or in general? 'cause TV ratings are pretty obvious. In general? That's a bit of a surprise. I guess with other important sports events getting time in the sun the Superbowl just isn't as amazing anymore. But I don't really know if that's the case. plus the on-field product wasn't very good last season and it isn't very good this season so far either. You don't have many teams that make you go "wow." Game has gotten stale. They should remove time-outs entirely and add melee weaponry to the game. It's boring with all the flags being thrown.